Tear and wash Methi leaves or Fenugreek leaves and chop it finely. Take a bowl, add wheat flour, sesame seeds, turmeric powder, Methi leaves, Ajwain, Garlic paste, oil and salt , Add some water and make a hard dough, Keep them aside for 10-15 minutes. Heat up a pan and add oil to deep fry the Methi ki Puri. Take small chunks from the dough and make poori of 3-4 inch diameter with the help of roller. Now put poori into frying pan and fry till it turns brown remove the access oil from the poori and put it into plate, do the same for other pooris. 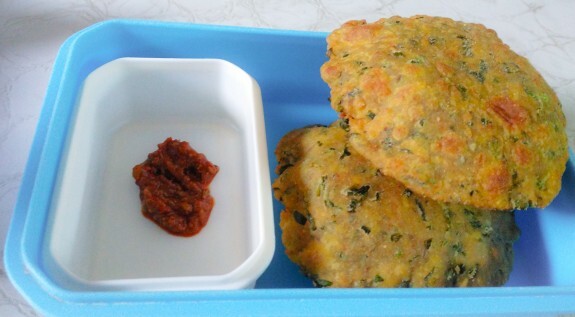 Now the Yummy tasty and delicious Methi ki Poori is ready. Serve it with Green Chutney, Pickles or Sauce.